Scheduling YouTube videos to publish when it’s most strategic for you and your organization or company is something you can now do using YouTube scheduling features. If you use other social media, you are probably used to scheduling tweets, Facebook posts, and WordPress posts, among others, on those platforms or on a more comprehensive social media distribution platform like Hootsuite. YouTube is now catching up, but it may not be easy to find the settings and take the steps you need to do so. Here’s what you need to know. Scheduled – Set to be published and become Public on a day and time of your choosing. 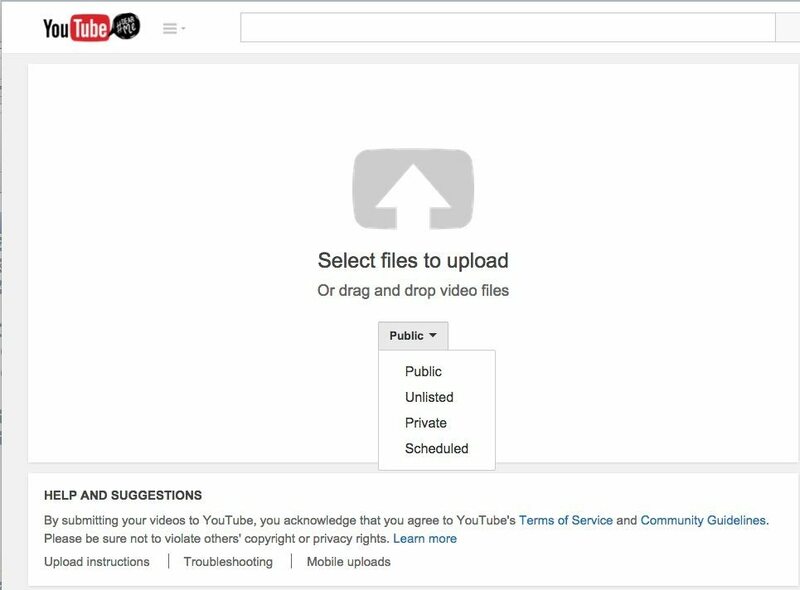 * You may not currently see the Scheduled option when you upload, but read on to see how to change that. Previously, uploading and publishing were synonymous. You had to make sure to get things right, because your video was immediately out in the world. You could delete your video, but it may have already been viewed with links established to it via other social media that referenced it. The opportunity to mark a video Private, and then change the setting to Public manually if and when you were ready to publish helped to mitigate against this problem, allowing YouTubers to prepare more carefully for publishing. Now YouTube Video Scheduling is available to most everyone who puts in a little effort, even if you don’t have a large number of channel subscribers or views and even if you are not actively monetizing your videos. AND, if you want to be as strategic about your video communications as you are about your other social media communications, you should use this feature! In this chart, YouTube shares what benefits and features are available to different levels of “creators”–from the beginner to the middle-level to the top-level creator-partners with over 75,000 cumulative watch hours in the last 90 days. We don’t know if you can make it to that top level, but follow these instructions, and you can get to the middle level, which will enable you to schedule YouTube uploads and messages about your videos. 1. Check to see if you already at the level that allows YouTube video scheduling and don’t need to do anything more. Click upload, and click the downward facing triangle to the right of the word “public.” Does the option “Scheduled” appear? If so, you are ready to go, and skip to the bottom of this post. 2. 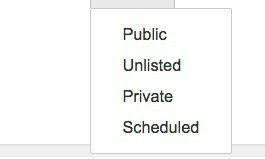 If you do not have the “Scheduled” option, you need to obtain the appropriate Creator status. You’ll need to “verify” your channel to do this. To check on this, login to your Channel, click Creator Studio, then Channel, then Status and Features. If your channel is verified and YouTube considers you a “partner,” your Account Status will say “Partner Verified.” If not, go through the verification process noted here. 3. 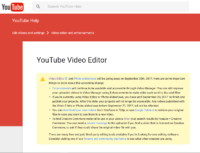 Although the YouTube video scheduling feature is not specifically noted on the YouTube Features and Benefits Chart and we were not able to pin down the exact, current requirements for securing this feature with Google, the YouTube video scheduling feature should become available once you verify your channel and achieve this mid-level status. If not, another option to beef up your stature is to add an associated website to your channel. Information on that step is here. Others have suggested that enabling monetization (in Channel Settings), even if you don’t monetize a single video, may be of help if this feature is not appearing. SO, you’ve unlocked this great feature, and now the trick is to use it. 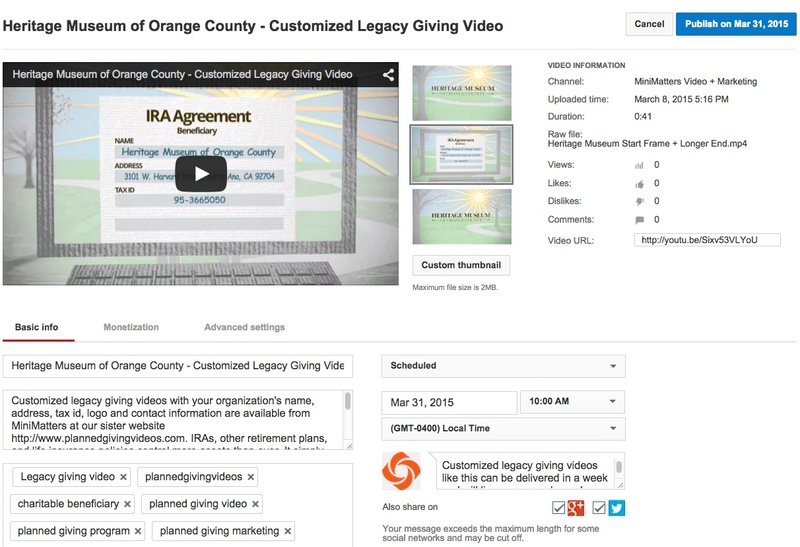 When you upload your video, choose Scheduled for your video status. 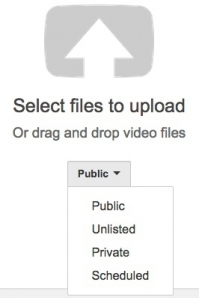 (You’ll have to make sure your upload default settings are not on Public, Unlisted or Private at Creator Studio>Channel>Upload Defaults.) Then go ahead and choose your date and time. You’ll also receive a confirmation by email that your scheduling has succeeded. Try modeling your video distribution on that of prominent YouTube Creators. Create a set of videos at once and line them up to publish on a consistent day and time. Prepare your other social media posts on a complementary schedule that will reference these videos soon after they are published in order to generate the maximum initial impact, which gives your videos greater potential to be spread, recommended and watched. MiniMatters can help you with fundraising video, nonprofit video, or other video production needs. We serve associations, foundations, nonprofits, and businesses primarily in Washington, DC, Maryland, and northern Virginia, but also in other areas of the country. You can reach us at 301-339-0339 or videos@minimatters.com.